• A copy of the Court’s June 2017 order granting a preliminary injunction can be viewed at: http://michellawyers.com/wp-content/uploads/2017/05/Duncan-v.-Becerra_Order-Granting-Preliminary-Injunction.pdf. • A copy of the Court’s March 29, 2019, order granting summary judgment can be viewed at: http://michellawyers.com/wp-content/uploads/2019/03/Duncan-2019-03-29-Order-Granting-Plaintiffs-MSJ.pdf. • A copy of the Court’s April 4, 2019, order staying the enforcement of the order granting summary judgment can be viewed at: http://michellawyers.com/wp-content/uploads/2019/04/2019-04-04-Order-Staying-in-Part-Judgment-Pending-Appeal.pdf. If you have a 16 round magazine from before the 10 round mag law went into effect, can I now use it at the range? Thank you CRPA and NRA for all you do. I think this is excellent I will be sharing it around, Thank you! One that i have heard a lot of is do you need to prove when or how you bought them. This was a question ive seen a bunch. That would be great to add. Thanks for all you guys are doing! I will be looking into a membership shortly, because of your efforts, keep up the good fight! So the question here is. If one imported their previously owned magazines which were kept out of state during freedom week or assembled them during freedom week from parts purchased some time in the past does this stay affect those? Also what documentation one needs to have to prove this or does it even need proving since the burden of proof is on the prosecution to prove otherwise beyond reasonable doubt? Thank you so much for this clarification! Thank You ,CRPA, for your efforts on our behalf ! I’m a member and will continue to be as well as a donor. I believe in rewarding a job “well done “ ! Thank you California Rifle & Pistol Association & the NRA for fighting for our 2nd Amendment Rights. Keep on fighting. We need to take it to the streets. The cities of San Francisco, Sunnyvale and Oakland have their own “large capacity” bans on magazines. Since this court oversees these jurisdictions (which reside in CA), does this decision apply to those cities as well? Can you please provide clarification regarding standard/hi capacity maginze usage in featureless rifles? I have heard both yes and no that it’s OK.
CRPA AND NRA, please keep up the fight for our constitutional rights! First of all, thank you for your time and effort achieving the results that we are all benefiting from. I am confused between questions V and VI, in that, question V states “…anyone who “manufactured, imported, sold, or bought” magazines capable of holding more than 10 rounds during “Freedom Week”…” is still legally able to receive them. Question VI states “…attempting to bring back magazines into California, despite already being owned by you, can be construed as “importation” which is currently prohibited…”. 1) In both cases, the purchase was legal, but the magazine didn’t make it across the state line until after 4-5-19 5:00pm. Isn’t that illegal importation? 2) If the order was placed for standard cap magazines and a confirmation number was provided by the selling company on 4-1-19, but the charge card was charged after 4-5-19, is that viewed as a legal purchase? I was told by the seller it was legal. Thank you again, making every attempt to stay legal. As far as fix magazine for rifles that were registered as assaults weapon from the last bullet button ban, can I legally use my freedom week 20 to 30+ rds in my registered/in-progress assault weapon rifle? You didn’t mention anything about “featureless ARs. Would a standard magazine (20/30/…) also render your featureless weapon an “assault weapon “ (made up term)? Could pinned & blocked 10/20-10/30 mags have been undone during That week? If I previous to “Freedom Week” bought magazines & drums over 10 rounds from an out of state dealer & had them sent to an actual free state for use sometime in the future when & where it was legal. Could I have had those 10+ round magazines & drums shipped/postmarked to me from that free state to CA during “Freedom Week” even if the delivery to me in CA would’ve been after 5pm on Fri Apr 5, 2019? How does the government prove I did not purchase my high capacity magazines during freedom week? If i owned “high capacity” magazines in another state and brought them home (California) during “freedom week” are they considered legal for me to use/own? Second question- would i need to be able to show proof of purchase during freedom week on all “high capacity” magazines if i was ever questioned? In regards to Question VII, the law as purportedly established under Prop 63 (per the answer provided by CRPA above) doesn’t seem to hold water. Using this same logic, I am therefore “importing” every single thing within my vehicle each time I vacation to our neighboring states of Oregon, Nevada, or Arizona. If I begin my travels from my home within CA with some cash in an envelope and a cooler full of bottled waters, and return three days later with the remaining unspent bills and one bottle, did I “import” them? No…they were acquired from within the state as my lawful property and simply accompanied me throughout my travel to its conclusion. Similarly, if I take 500 rounds of ammo with me to a target range outside CA and consume only 400, am I “importing” the leftover 100 still in my possession? No. This isn’t even close to the spirit of the term “importing”. Might you be able to make a downloadable PDF out of the above document? Thank you for your continued work and effort on this matter. I’ll be joining when I get home and encouraging my club to do as well. Are visitors to CA from Arizona restricted from possessing magazines with capacities above 10 rounds? this Court’s injunction on March 29, 2019 and 5:00 p.m., Friday, April 5, 2019. Dated: April 4, 2019. Because it refers to the “Person” and includes both a) and b), the Permanent injunction on “b)” (covers importing) would allow us to take our magazines in/out of state. It doesn’t sate the injunction for “b)” was only good from 3/29 – 4/5, it says it falls under the Permanent Injunction. Can you run this by our Lawyers? My two comments posted here a few days ago were deleted and are no longer viewable. Why? I received no notice that moderation deemed them unsuitable, and I cannot imagine why they would be rejected. Not sure why you received that response except that all comments must go through approval. As far as I can tell, none of your comments have been rejected. 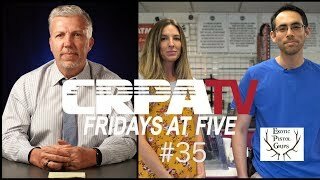 If a person purchased large capacity magazines from a private person during “Freedom Week”, would they have to show a receipt or divulge the seller’s name if questioned by authorities? Ok I took advantage of freedom week and acquired some magazines. I understand my local licensing authority’s policies has the authority to my CCW carry outside my house, but I have not heard anyone comment on home defense. Can I use them in my home defense firearm? Thanks for the great work you are doing for CA. When can we expect a decision on whether the stay will be removed or not ? How long does the appeal process typically take ? One question not covered. For firearms registered with the state successfully are these now able to use standard capacity magazines over 10 rounds since already registered as an AW? AR or AK etc AW’s registered with CADOJ able to use my legally acquired preban 20 or 30rd mags? Thank you for engaging this fight for American civil rights and private property. It’s a sad commentary on the trajectory of our society, that this needs to be fought at all. The Founders were explicit in their views on an armed populace, and the core ideas of individual liberty and due process. Keep up the good work! How can we use our legally acquired high capacity magazines in our rifles ? I bought high capacity magazines before I purchased my fire arms and the 10 round capacity mags. went into effect. I don’t have any receipts to prove that I had them previous to the ban. Will I be forced to prove that I had them or am I out of compliance with the law? whats next in this process? when might we expect a ruling on the appeal? or was this just a delaying tactic by DOJ because they know that if appealed and lose, they lose big for entire country. the 9th is getting more conservative each month this drags out. How much time does the state have to respond to this case before the California magazine ban is declared unconstitutional if they fail to do so ?